The historical home of the first permanent settlers to the U.S. as well as one of the 13 original colonies, Virginia carries a special role in early American history. Today the state is a predominant location of many federal government agencies that serve executive federal offices in the adjacent District of Columbia to the northeast. That said, the western side of the state is far more rural, divided by major mountain ranges from the southwest to the northeast. Much of the Appalachian range is rural and undeveloped. The eastern side of the state very developed, particularly Fairfax County. The state has a variety of economies aside from government spending, including major port and shipbuilding activity, agriculture, retail business, and tourism. Major urban areas include Richmond, Virginia Beach, Norfolk, and Chesapeake. Virginia also has a number of famous universities including VMI, Virginia State, the College of William & Mary, and James Madison University. In fact, the state has a total of 176 different higher education institutions in total. Home to over 8 million Americans, Old Dominion is the 12th biggest American state. Gross state product is around $400 billion annually, and the state is home to a great deal of wealth. Six of the top 20 richest counties in America are located in VA.
As of this writing, average VA home values are hovering around $220,000, having increased 5-6% year over year. There is, however, a great deal of variance within the state. Cities like McLean and Great Falls have average median sale prices of over $2 million, which falls in line with what we know about the pockets of wealth in Virginia. Homebuyers can find better deals in cities like Madison Heights and Franklin, where a new home can be had for under $200K. Virginia is a unique state in that it has numerous independent cities. An independent city is one that does not belong to any particular county. Virginia Beach is one of these cities. As the name implies, the city is full of beautiful beaches. For those who can manage to leave the sand and sun behind, major employers include GEICO and the Christian Broadcasting Network. The US military also has a prominent presence within Virginia Beach. Norfolk is also an independent city. Norfolk was founded all the way back in 1619, and the city is full of historical places of interest. The largest local employers are the Department of Defense, the public school system, and Old Dominion University. Like Norfolk, Chesapeake is part of the Hampton Roads metro area. It's a relatively new city - it was officially formed in the 1960s - but Chesapeake is already making a name for itself with awards like this one. The top employers are the public school system and the city. Good money management is an essential skill, and a big part of that is choosing a solid bank. For residents of Virginia, there are many options to choose from. On one side, there are local institutions, banks and credit unions, that focus on serving specific communities. These institutions tend to have closer relationships with their customers and can sometimes go above and beyond in helping small businesses and homeowners secure loans. At the other end of the spectrum you have the large banks. It's unlikely that you'll ever have a personal relationship with say, Wells Fargo, but you will get top of the line online and mobile banking technology at your fingertips. After seeing all these financial institutions, you're probably looking for a way to find the best interest rates. RateZip.com was designed to help consumers make exactly these types of decisions. Get started now! Relocation to Virginia for a career or education can be made easier with RateZip.com and its wide database of home loan interest rate information. You can receive multiple quotes from mortgage lenders, banks, and more in just a matter of minutes. This includes lenders in Virginia and those who are located outside the state but are licensed in VA. The most popular home loan in Virginia is the fixed rate mortgage or FRM for short. With this type of mortgage, the rate and monthly payment stay constant for as long as the loan lasts. Though you won't be able to directly take advantage of a drop in mortgage rates, you can always refinance. FRMs provide long-term stability that enables homeowners to make plans far into the future. There are also adjustable rate mortgages, or ARMs, which adjust according to market interest rates. This means that your rate and monthly payment can rise or fall annually. ARMs begin with an initial period where the interest rate is lower than prevailing fixed rates and adjust following that period. Popular terms are 1/1, 3/1, and 5/1, where the first number represents the initial period and the second represents the annual adjustment. The US armed forces are a major presence in Virginia, so it's important to mention VA home loans. In this case, the VA refers to the Department of Veterans Affairs, which insures these mortgages. 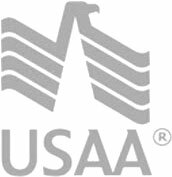 VA loans are available to veterans of the armed forces, and you can obtain one without a downpayment and with a less stringent credit and documentation requirements.